We started collecting owls for our nine month old daughter, Olivia, before she was even born. 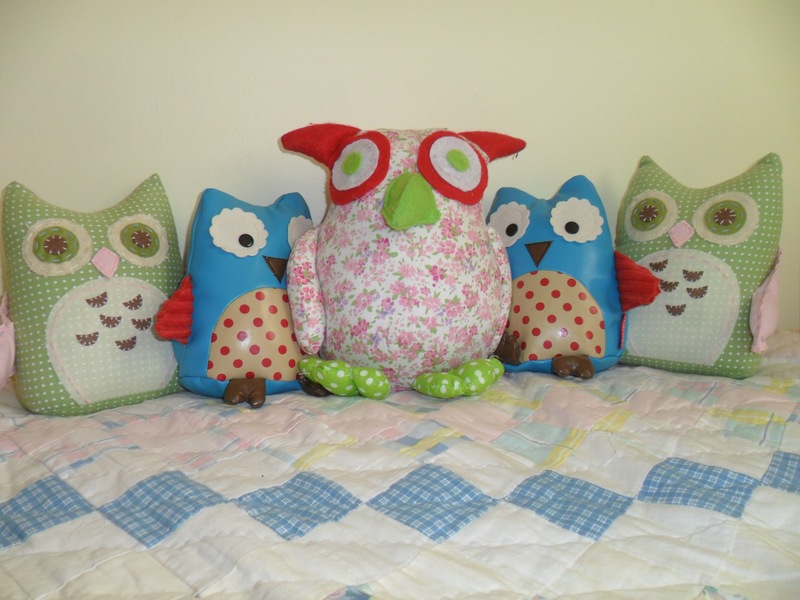 Now everyone gives her cute owls as toys and decorations for her nursery. The matching owls in this picture are bookends, and since I had a bring a book baby shower – they have really come in handy on Olivia’s bookshelf. The green owls on the ends came from Pottery Barn Kids. 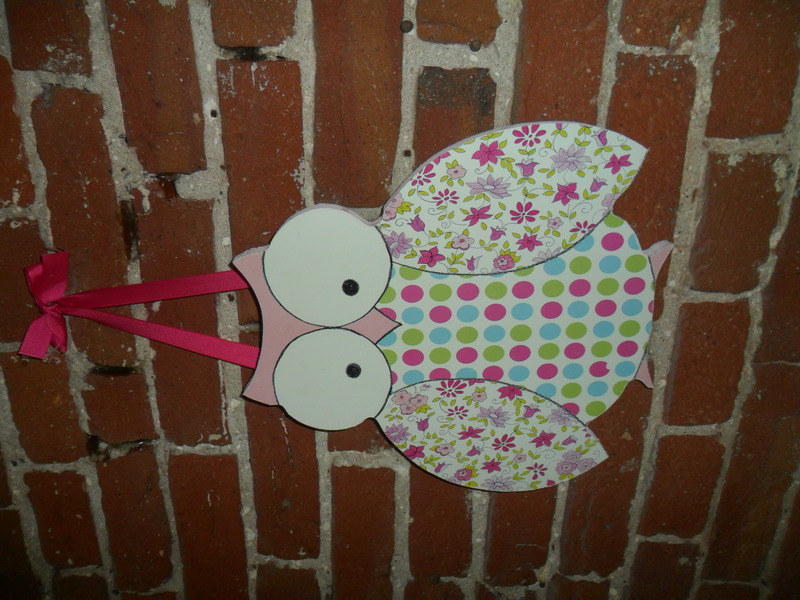 Here is another owl I got from Home Goods that is hanging on her nursery wall.